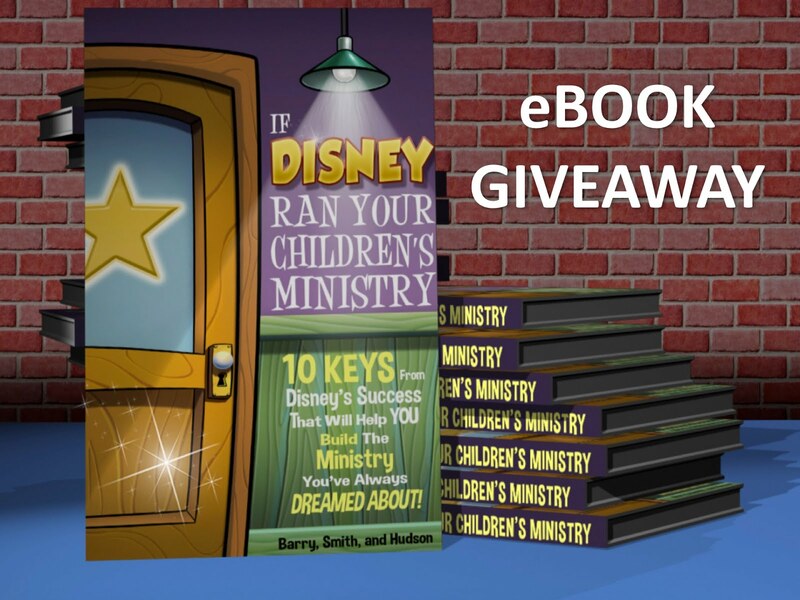 We're giving away a free eBook copy of the new book "If Disney Ran Your Children's Ministry." This book gives you an inside look at why Disney is so successful at connecting with kids and families and gives you practical ways you can translate it into your children's ministry. You can enter the giveaway by emailing me at dalehudsoncm2@gmail.com. We'll announce the winner here on this site, next Wednesday, Oct. 26th. You can get the book now in hard copy or eBook format at www.kidminmouse.com.